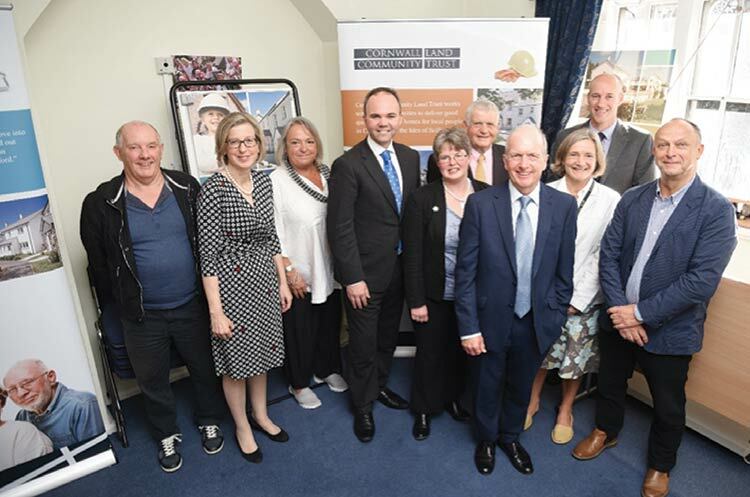 Housing and Planning Minister Gavin Barwell paid a flying visit to Cornwall on Friday 30 September and met with Board members of Cornwall Community Land Trust (Cornwall CLT) and representatives of three of the twelve local CLT’s that have been formed to deliver affordable homes for local people in Cornwall. Accompanied by Sarah Newton MP for Truro & Falmouth, Mr Barwell listened to a presentation from Helen Downing, Development Manager of Cornwall CLT on the progress the organisation has made to date. Since its formation in 2006, Cornwall CLT has enabled or delivered almost 200 new affordable homes in Cornwall – most for sale at discounted prices (averaging around 60% of open market value) and a smaller proportion at affordable rents. Helen went on to explain that Cornwall CLT’s vision was to greatly increase the rate of production of new homes and outlined the challenges to this, saying that the organisation was determined to double or treble its output. Following the presentation, Mr Barwell participated in a lively round table discussion about the urgent need to increase the number of affordable homes built in the County and stressed the government’s willingness to listen to local views and give the support needed to help increase housing delivery by local land trusts. The following day, Gavin Barwell and Sarah Newton visited two of the sites developed by St. Minver CLT in North Cornwall and came away hugely impressed by the energy, determination and sheer hard work that had gone into making these schemes a reality. “It was great to see how the land trusts have delivered hundreds of new affordable homes in Cornwall and their accelerated plans to deliver even more.